how do I change killfeed color? qoznyyyhow do I change killfeed color? Im recording some stuff and I'm trying to disable the medic caller bubble, the file mediccallerpanel.res was already deleted in the hud folder but the bubble is still appearing, anyone knows how to remove/disable it entirely? You need the file for it to be fully removed, because TF2 will use the default inside the .vpk file they're kept in by default. Put the mediccallerpanel.res file back in, and the best bet is to change the xpos and ypos values to something dumb, like 9999, and also the wide and tall values to 0. You could also remove the value inside "image" and also set enable to 0. I've never actually edited this panel, but I'm covering all bases here. omniYou need the file for it to be fully removed, because TF2 will use the default inside the .vpk file they're kept in by default. do u happen to have the original mediccallerpanel.res cuz I cant seem to find another one since I deleted the one I had. Also wouldn't it work to load a custom blank .vpk as well? [quote=omni]You need the file for it to be fully removed, because TF2 will use the default inside the .vpk file they're kept in by default. Kaneco omniYou need the file for it to be fully removed, because TF2 will use the default inside the .vpk file they're kept in by default. Lemme know. do u happen to have the original mediccallerpanel.res cuz I cant seem to find another one since I deleted the one I had. [quote=Kaneco][quote=omni]You need the file for it to be fully removed, because TF2 will use the default inside the .vpk file they're kept in by default. The problem is that the panel on the main menu that cycles through the new stuff you can buy(weapon cases, taunts), shows up there. how do I edit [url=http://imgur.com/pjsmDCV]this[/url]? 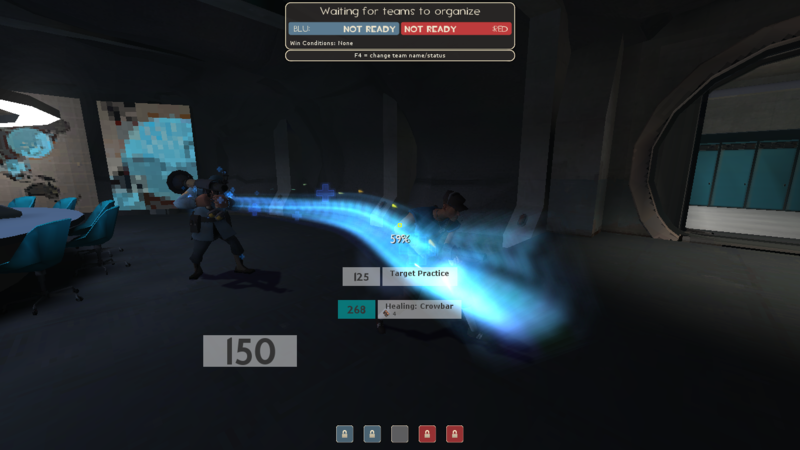 trying to use an FPS config but it makes the refracts bleed into the viewmodel. What are the commands to fix this again? NokkEdit the positioning and size of HudDemomanPipes in hudlayout.res to fit your needs. Then you can move each property within the box in huddemomanpipes.res. I tried to do that, but when doing hud_reloadscheme after I changed the values, vgui_drawtree 1 showed that huddemomanpipes was in the same place and nothing changed. And no, I didn't forget to save. qq am I doing something wrong, or is it some sort of bug? Where can i find the values to fix this? 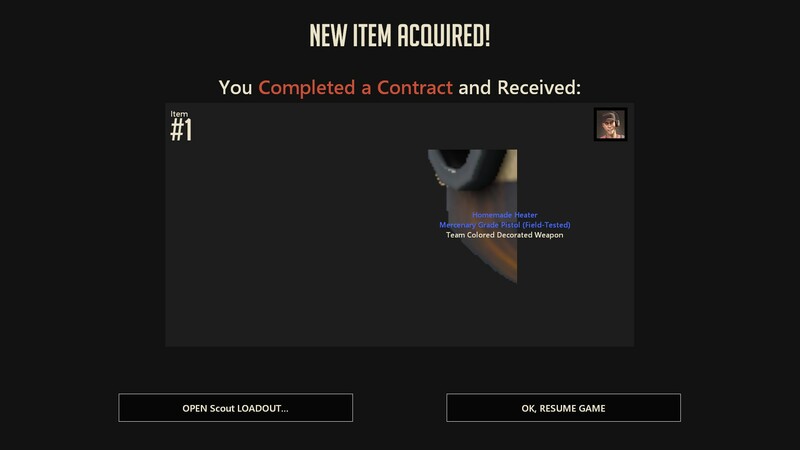 It only happens with weapon skins. XaurosWhere can i find the values to fix this? Try modifying resource/ui/econ/itemmodelpanel.res with the latest itemmodelpanel.res from the default HUD. [quote=Xauros]Where can i find the values to fix this? Will it work most of the time if I just change the font for my HUD, and only edit a few things where it gets cut off? If I just copy over the scripts from one HUD to another for when I'm hurt or overhealed, will it work? 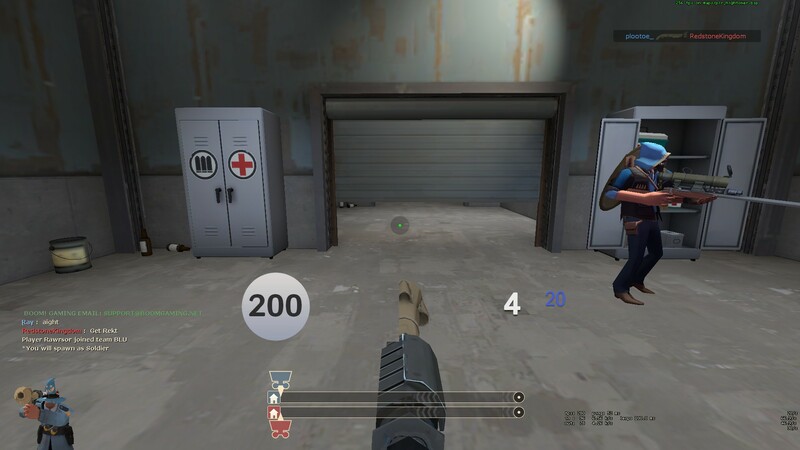 How do I add a small medic ubercharge counter under the crosshair? rewolfI have created a shadow for the charge label but when I switch to vacc, the shadow stays. Is there a way I can make it so it doesn't? This is an error on Valve's end and is hard-coded into all huds somehow. 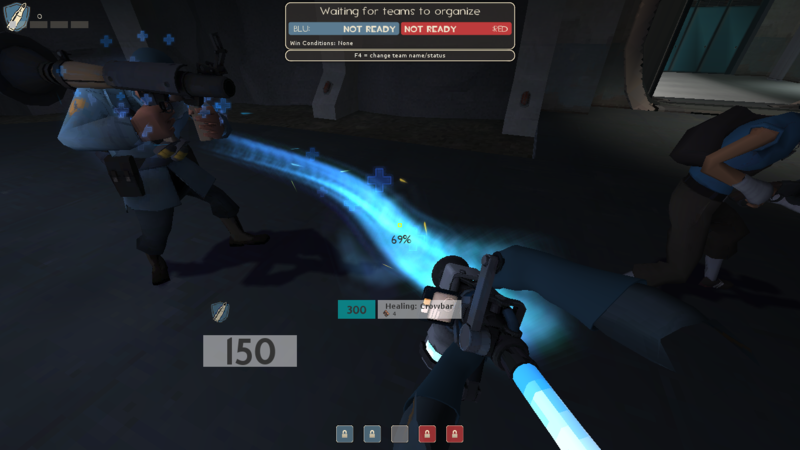 There is no way, currently, to have a shadow appear for regular mediguns without having it also show up and be useless when using the vaccinator. I'm not sure which ones you mean but the ones near your health are located in HudPlayerClass.res in resource/ui (in custom/ *any folder*). If you wanted to make your own you would need to make a .vtf and a .vmt file then place them in materials/vgui/replay/thumbnails. You can find more information on custom vtfs, if that's what you wish, in my hud crosshairs guide here. You'll want to ctrl+f for 'creating your own crosshair'. I was speaking about crosshairs but it's equally relevant for you, or any custom image you might want to put into your hud. Alternatively, there are many pre-made ones located here, such as this one. Please post back if I wasn't clear or if you still have questions. I'm not sure which ones you mean but the ones near your health are located in HudPlayerClass.res in resource/ui (in custom/ *any folder*). If you wanted to make your own you would need to make a .vtf and a .vmt file then place them in materials/vgui/replay/thumbnails. You can find more information on custom vtfs, if that's what you wish, in my hud crosshairs guide [url=http://huds.tf/forum/showthread.php?tid=23&pid=45#pid45]here[/url]. You'll want to ctrl+f for 'creating your own crosshair'. I was speaking about crosshairs but it's equally relevant for you, or any custom image you might want to put into your hud. 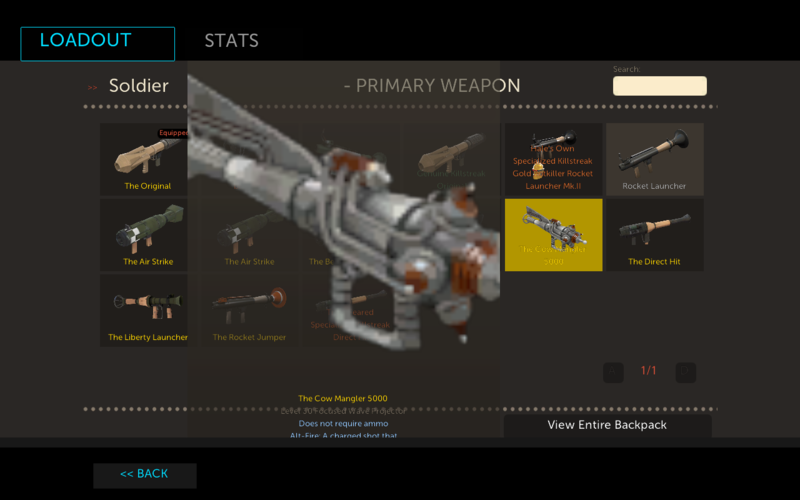 Alternatively, there are many pre-made ones located [url=http://tf2.gamebanana.com/guis/cats/433]here[/url], such as [url=http://tf2.gamebanana.com/guis/30276]this one[/url]. komorebi rewolfI have created a shadow for the charge label but when I switch to vacc, the shadow stays. Is there a way I can make it so it doesn't? What file controls the tasks (Score points as Soldier, etc.)? Thought it would be in huditemtracker but can't find anything in there. Also tried detailsattributetracker but that did nothing (as a side question, what does detailsattributetracker control?). What is the file to change the MGE overlay's font/size? I know it's possible, for huds like HUDAS Iscariote have that feature. Edit: I've come to realize that the MGE overlay is most likely related to the text present in some servers like tr_walkway_rc2, when you look at the panels in the map. I hope this somehow helps you in any way. OnenWhat is the file to change the MGE overlay's font/size? I know it's possible, for huds like HUDAS Iscariote have that feature. I forget what text definition the sourcemod panels use, try looking at the source code for mge to see. [quote=Onen]What is the file to change the MGE overlay's font/size? I know it's possible, for huds like HUDAS Iscariote have that feature.